EMF » High Flow Nasal Cannula (HFNC) Therapy in Infants with Bronchiolitis, a Randomised Controlled Trial in Regional Emergency Departments. Emergency Medicine Foundation > Projects > Queensland > High Flow Nasal Cannula (HFNC) Therapy in Infants with Bronchiolitis, a Randomised Controlled Trial in Regional Emergency Departments. High Flow Nasal Cannula (HFNC) Therapy in Infants with Bronchiolitis, a Randomised Controlled Trial in Regional Emergency Departments. Does early HFNC treatment in infants with bronchiolitis reduce the number of patients transported from regional hospitals to specialist paediatric centres and reduce overall the hospital length of stay? Bronchiolitis in infants is the leading cause of paediatric hospitalisation in Australia accounting for approximately 8000 admissions annually, of which approximately 500-600 are admitted to a paediatric intensive care unit (PICU) requiring respiratory support. None of the current treatments have successfully changed the outcome of the disease or the burden on health care systems. High flow nasal cannula (HFNC) therapy has been used over the last few years in paediatrics with reports showing a reduction in the need for non-invasive and invasive respiratory support. HFNC reduces the work of breathing, improves the gas exchange and can be applied very early in the disease process as there is little inference with the patients comfort. There has been no “best practice” and many centres do not use the HFNC for bronchiolitis as there are opposing reports about its benefit and a lack of consensus on how to use it. This study aims to develop a multi-centre trial and to assess which patients with bronchiolitis benefit using HFNC. In an earlier pilot study, the team found the use of HFNC therapy in PICUs significantly reduced the need for invasive ventilation and intubation, with a 40% reduced PICU admission rate, a 2.5 times reduction in intubation. They also showed the use of HFNC therapy in a paediatric ward was safe and delivered high quality care for infants with bronchiolitis. They also showed that infants <2 years of age could be safely transported on HFNC to tertiary facilities. This EMF-funded trial was rolled into a much larger NHMRC-funded multi-site trial, run across 17 hospitals in Australia and New Zealand (http://www.predict.org.au/projects/nasal-cannula/). Recruitment for this trial was completed in late 2016. The analyses included 1472 patients. 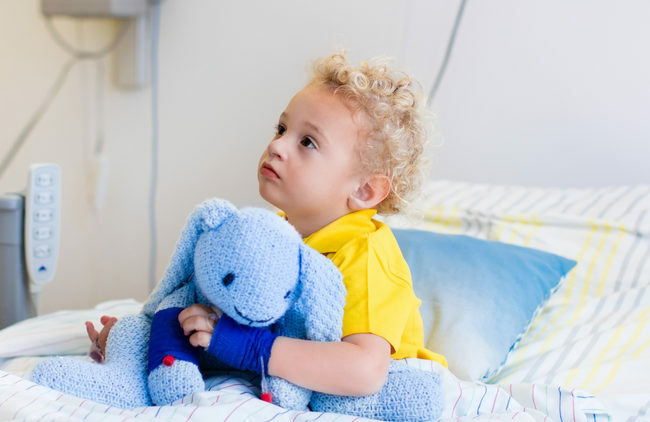 The percentage of infants receiving escalation of care was 12% (87 of 739 infants) in the high-flow group, as compared with 23% (167 of 733) in the standard-therapy group (risk difference, −11 percentage points; 95% confidence interval, −15 to −7; P<0.001). No significant differences were observed in the duration of hospital stay or the duration of oxygen therapy. In each group, one case of pneumothorax (<1% of infants) occurred. Among the 167 infants in the standard-therapy group who had treatment failure, 102 (61%) had a response to high-flow rescue therapy. Among infants with bronchiolitis who were treated outside an ICU, those who received high-flow oxygen therapy had significantly lower rates of escalation of care due to treatment failure than those in the group that received standard oxygen therapy. > Franklin, D., Babl F.E., Schlapbach L. J., Oakley E., Craig S., Neutze J., Furyk J., Fraser J.F., Jones M., Whitty J.A., Dalziel S.R., Schibler A., "A Randomized Trial of High-Flow Oxygen Therapy in Infants with Bronchiolitis", N Engl J Med 2018; 378:1121-1131. DOI: 10.1056/NEJMoa1714855. > Franklin, D., Dalziel, S., Schlapbach, L.J., Babl, F.E., Oakley, E., Craig, S.S., Furyk, J.S., Neutze, J., Sinn, K., Whitty, J.A. and Gibbons, K., 2015. Early high flow nasal cannula therapy in bronchiolitis, a prospective randomised control trial (protocol): A Paediatric Acute Respiratory Intervention Study (PARIS). BMC pediatrics, 15(1), p.1. Respiratory support – Andreas Schibler | PAC 2014 from APLS Australia on Vimeo.